FAQ mobile home | Bij caravanencamperhuren.nl makkelijk en voordelig caravan of camper huren. Dat kan bij ons al vanaf 35,- euro per dag! Verhuur per dag mogelijk! Boek direct online. Voor het ultieme vakantiegevoel. Your dream holiday starts here! Rent a camper from € 65,- per day! from as little as € 35,- per day! Can I leave(park) my car or motorcycle during my holiday with you? Your can park your car or motorcycle during the rental period at no additional cost but at your own risk with us on site. This allows you to quickly and easily begin your journey. How much free mileage is included with RicoRental.com? During your rental period you are entitled to 220 km free per day. Additionally you pay 0:27 cents per extra kilometer. How long do you need to have a license to drive a camper? Only the drivers mentioned in the lease may, after submitting a copy of their driver's license drive the vehicle. Drivers must be at least 23 years old and at least three years in the possession of a valid and for controlling the type camper prescribed license. At what time can I pick up or drop a camper? On your first day you can pick-up the vehicle from 10:00 hrs in the morning. A few days before the start of your rental period, we contact you by phone to arrange the final pick up time. On the return day you have to deliver in the camper before 14:00 hrs. Are smoking and pets allowed? Given the past experience, pets in the motorhome are not permitted without our permission. There are some possibilities to bring pets. One has to accept the instructions given by the owner. Please indicate that you bring pets when you make the reservation. The surcharge is € 150.00. It is not allowed to smoke in the camper, When offense at least € 500.00 will be charged. Is it possible to hire a camper every day of the week? At RicoRental.com it is possible to hire a camper on every day of the week. Only on Sundays and public holidays is not possible. You are not tied to mandatory changeover days when you want to get a camper or return. The minimum rental period for an camper is five days. Can I preview a camper? It is certainly possible to come and see our rental camper, make an appointment in advance to make sure that the camper is present. 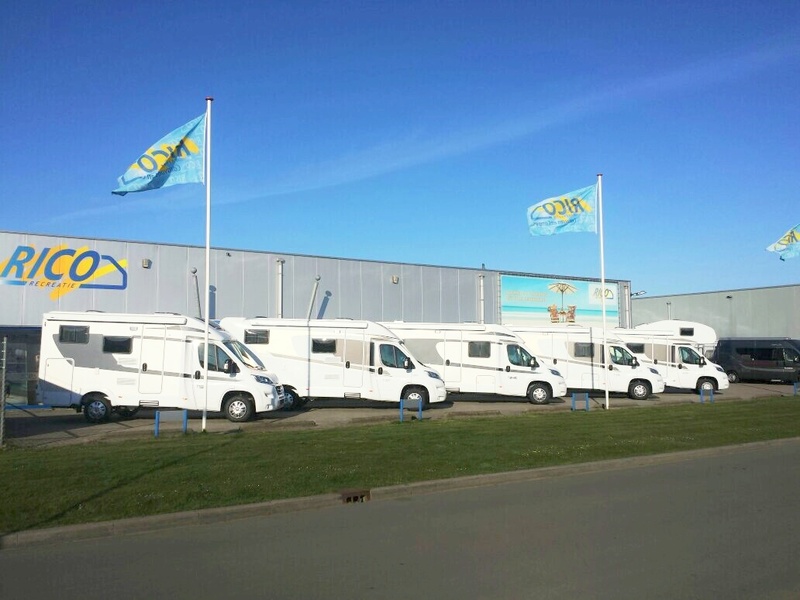 You can visit us at any time at our locations in Drenthe and Amsterdam-Schiphol to view the entire rental fleet. Go directly to contact to schedule an appointment. I want to reserve additional options, Is this possible at any time? If you want additional options or packages, you must indicate this when making your reservation. If you want to book additional options, please contact us, but there may be risk a risk that the option is no longer available. Can I extend our rental period after booking? We try to plan as accurate as possible. As we do not work with fixed periods there may be extra days available. Contact us to check the possiblities. How much deposit do I pay? We ask for an one-time deposit of € 1000, - per rental period. Any traffic penalties and damage to the inventory will be settled by us with the deposit. By damage to the camper the deposit serves as your own risk. See also our terms and conditions. Our advice is to take out insurance "Damage waiver camper hire" when making your reservation. You can select this insurance during the booking process, or afterwards by phone. So you can travel with peace of mind and worry free. SOS International includes replacement by breakdown. Tire repair or spare tire. Two gas bottles (incl. Content). Hammer and lines for the awning. The issuance fee is standard € 99.00 per period. There are no additional fees charged afterwards. What is the advantage of hiring a camper with RicoRental.com? With RicoRental.com you know exactly where you stand before you leave. We have clear terms and conditions, in addition you will receive a confirmation and the invoice for the first deposit. We work in several steps. After you have completed a step, you get the information for the next step. As your holiday approaches you receive a comprehensive information guide for departure. Also, you get detailed instructions about the use of the campervan and tips for your trip so that you are well prepared. To make your vacation carefree RicoRental.com has an all risk insurance policy. This comprehensive insurance includes roadside assistance and towing assistance, repatriation and when you are abroad a replacement car (no camper or camper). RicoRental.com also has a 24-hour helpline available, day or night to help you with any problems during your trip. The largest caravan and motorhome rental company in the Netherlands, with 2 locations; Caravan and Motorhome rental Gieten and Amsterdam / Schiphol. We are all looking forward to go out again toward the sun. Delicious touring the countryside, along scenic landscapes and sunny beaches. RicoRental.com offers a wide range of over 100 caravans and campers! Reserve early to avoid disappointments! For the ultimate vacation experience!